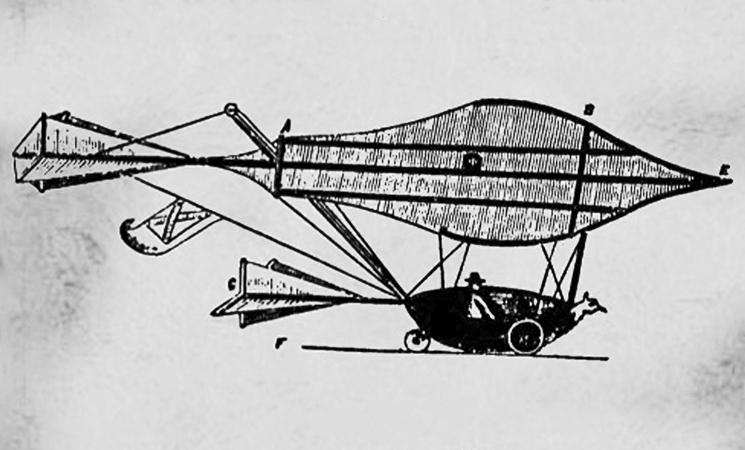 A sketch by George Cayley, who tried three times to found an aeronautical society. Happy birthday to the Royal Aeronautical Society, which turned 150 on 27 June. As anyone with even a passing interest in aviation history would note, that anniversary makes it 37 years older than the first aeroplane. 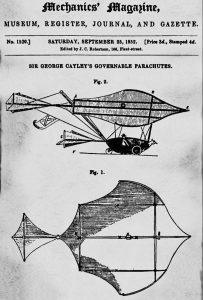 Some sort of aeronautics society was an unfinished project of British aviation pioneer, George Cayley, who experimented with gliders in the mid-nineteenth century, and, from these experiments, sketched the wings, fuselage and tail layout still used by most aeroplanes in the 21st century. Cayley tried three times to found a society: in 1816, 1837 and 1840. In 1867, ten years after Cayley’s death, a group of scientists, engineers and balloonists set up ‘the Aeronautical Society’ in London. Their aim was to promote the scientific aspects of ballooning, which, from its invention in the 1780s had become a form of showbusiness and, in modern parlance, extreme sport. From the start, the society was a forum of bold ideas. In 1867, two members, James Butler, and Edmund Edwards, described a ‘steam dart’ powered by a jet from a high-pressure steam engine and using delta wings. Other prominent members of the society have included Winston Churchill, bouncing bomb inventor Barnes Wallis, and Kelly Johnson, founder of the Lockheed Skunk Works and designer of the U2 and SR-71 spy planes. Winners of the society’s gold medal tell the story of aviation between them, ranging from Orville and Wilbur Wright, jet engine inventor Frank Whittle and SpaceX founder Elon Musk. The Society (granted the Royal prefix in 1918) has stayed true to its founding principles of science and enquiry while evolving from a gathering of Victorian gentleman enthusiasts into an international body concerned with every aspect of aviation. Topics presented, explored and promoted by the society have included spaceflight, aviation economics, military air power, general aviation, automation, human factors and unmanned aerial systems. It has had a branch in Australia since 1927; some of whose members will meet tonight in Sydney, in the company of the Governor-General, Sir Peter Cosgrove, to celebrate a body whose history is that of aviation itself.